Mary (Balchen) Man’s sister Elizabeth married George Cumberland on 21 September 1749 at St. Olave’s Hart Lane and they had three sons: John, George (right), and Richard Dennison and one daughter Martha. The father of George who married Elizabeth Balchen was John Cumberland. John was baptised on 18 June 1674 at Holy Trinity the Less, London. A year earlier his sister Sarah had been baptized there on 1 April 1673 [see IGI (Batch No C023312)]. Their parents were William and Ann Cumberland. 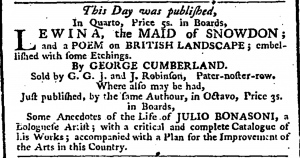 A note about William Cumberland can be found toward the end of this page. 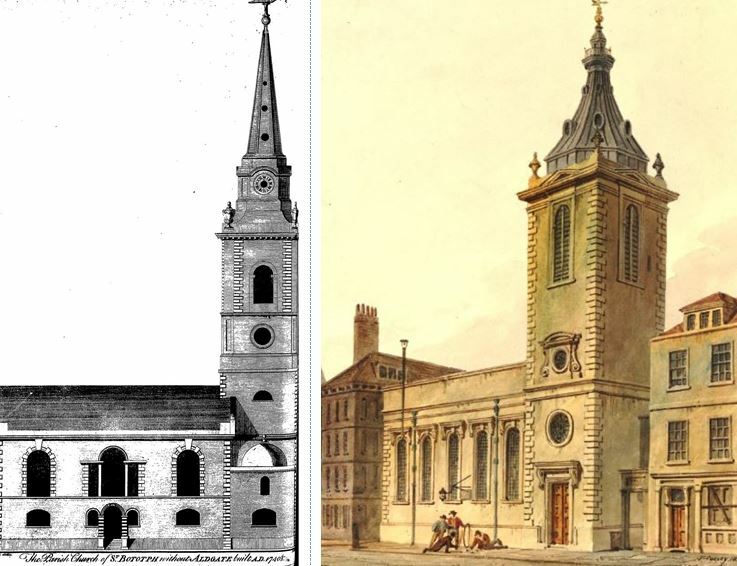 The parish church in which John and his sister Sarah were baptized (Holy Trinity The Less) was destroyed in the Great Fire of 1666 and yet these baptisms occurred almost ten years after that event. So that’s a puzzle. It may be that the parish records were maintained even without an actual parish church. In 1676 there begins another series of births to William and Ann Cumberland at Nicholas Cole Abbey [IGI batch No. C022632]. St Nicholas was just opposite Holy Trinity the Less and it took over the role of parish church probably after 1674. The baptisms of William and Ann’s children that occurred at St. Nicholas included the following: Elizabeth on 10 January 1676, Francis on 23 October 1678, Benjamin on 21 January 1680, Joseph on 4 July 1682, Nathaniel on 15 March 1684, and Thomas on 8 November 1686. As for the baptism of John’s son George who married Elizabeth Balchen, we have so far not had any success finding a record of this. However, we have found George’s siblings (parents John and Hannah Cumberland) who were all baptised at St Botolph Without Aldgate as follows: Susannah in March 1703, John on 22 November 1705, and Sarah in October 1707 [See IGI batch number C025555]. St. Botolph without Aldgate (left) and St. Nicholas Cole Abbot (right). The will of George Cumberland’s grandfather William can be found HERE (<— 2 page pdf). In the space of three consecutive generations there are three George Cumberlands. To help distinguish among these three we are calling the George who married Elizabeth Balchen George (I); their son, the artist and writer, we call George (II) and the son of this George is George (III). Below is the marriage announcement for George Cumberland (I) and Elizabeth Balchen although with an error in the name of the bride. Ann was the sister of Elizabeth. George and Elizabeth (Balchen) Cumberland’s first child was Martha who was baptised six months after her parents’ marriage, on 21 March 1750 at All Hallows the Great. She was probably named after her Balchen grandmother Martha (Hitchcock) Balchen. Their second child was Richard Dennison Cumberland who was born on 11 December 1752 and baptised 9 January 1753 at St Matthew’s, Bethnal Green (last line on the record below). Their third child was George Cumberland (II) who was born on 3 December 1754 and baptised 22 December at St Matthew’s, Bethnal Green. Their fourth child was John but he probably did not live long as he is never referred to in family papers. He was baptised on 5 September 1756. The Cumberland brothers (George (II) and Richard Dennison) and their aunt Mary (Balchen) Man had a stormy relationship which is described in a series of letters between the two brothers, some of which have been published as: ‘The Cumberland Letters’. The entire edition of The Cumberland Letters edited by Clementina Black and published in 1910 can be can be read here. Those letters dealing with the family have been extracted and a link to them will be placed here. A more narrow set of letters that George (II) received from his Man cousins can be read here. A major piece of correspondence is missing from ‘The Cumberland Letters’ and that is the disagreement between George (II) and David Ricardo over what happened to Ricardo’s servant girl when she met George (II)’s youngest son Sydney. Those letters can be read here. Martha Cumberland, George (II)’s sister, married a man named Weaver and their daughter Sarah (Sally Weaver) somehow ended up in Boston, Massachusetts. A 71 page document describing the connections among the American families of Weaver, Gooch, Marriot, and Cheever and how these four families relate to the Cumberland-Balchen family can be read HERE—-> ‘The American Connection’. George Cumberland (II) is today remembered, in part, for his close and lifelong friendship with the poet and artist William Blake. Below the last of Blake’s engravings – a visiting card prepared for George Cumberland (II) and which he sent his son round to pick up from Blake’s widow Catherine soon after the artist’s death. George (III) accompanied the Duke of Wellington on his campaign in Spain and Portugal and produced a beautiful book of watercolour illustrations in 1823 called ‘Views in Spain and Portugal’ which can be viewed as No. 18 on the list of works at the bottom of this page. When James Man’s brother John died, John’s son William Man sent a letter to George (II) describing his father’s death. 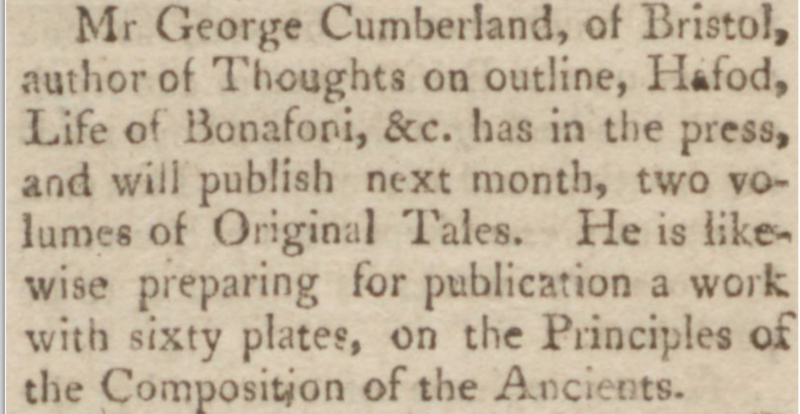 Both Cumberland brothers subscribed to the publication of Henry Man’s ‘Miscellaneous Works’ (1802). eight of the 24 plates illustrating ‘Thoughts on Outline'(1796), a subject to which he returned in ‘Outlines of the Ancients'(1829), which contains three further Blake engravings. 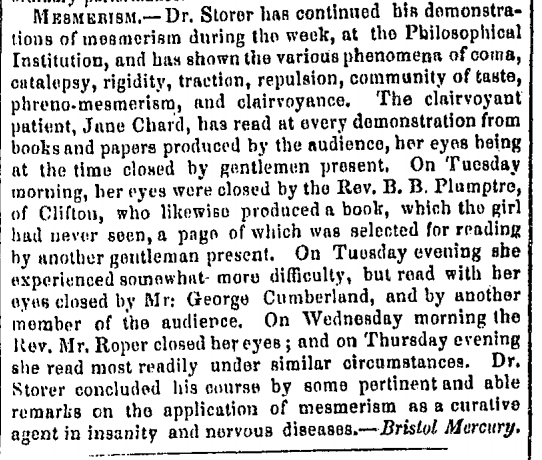 In 1808 Cumberland settled in Bristol, where he became an influential figure in artistic circles. His landscape sketches and watercolours produced at this time have a simple directness of vision, reminiscent of those of his friend John Linnell. He catalogued his collection of prints, which he presented to the Royal Academy and the British Museum, in the Utility of Collecting the Best Works of the Ancient Engravers of the Italian School (1827). He died at his home 1 Culver Street, Bristol, on 8 August 1848 and was buried at St Augustine-the-Less, Bristol, on 14 August. His tombstone is located in the churchyard of St. George’s Chapel, Brandon Hill, Bristol. A summary of George’s life was read at the Manchester Geological Society and can be read here. 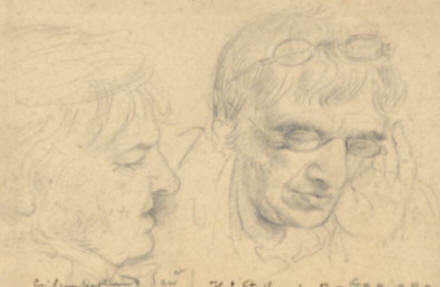 Portrait sketches of George Cumberland & Thomas Stothard By Edward Bird RA (after 1807). The son of Richard Cumberland the playwright who was the 4th cousin of “our” George and Richard Dennison Cumberland in turn had a son also Richard who married Albina Hobart whose sister Charlotte Hobart married Edward Disbrowe (Desborough) (1754-1818) whose son was the diplomat Edward Cromwell Disbrowe whose letters were in the possession of the late Ed Man. 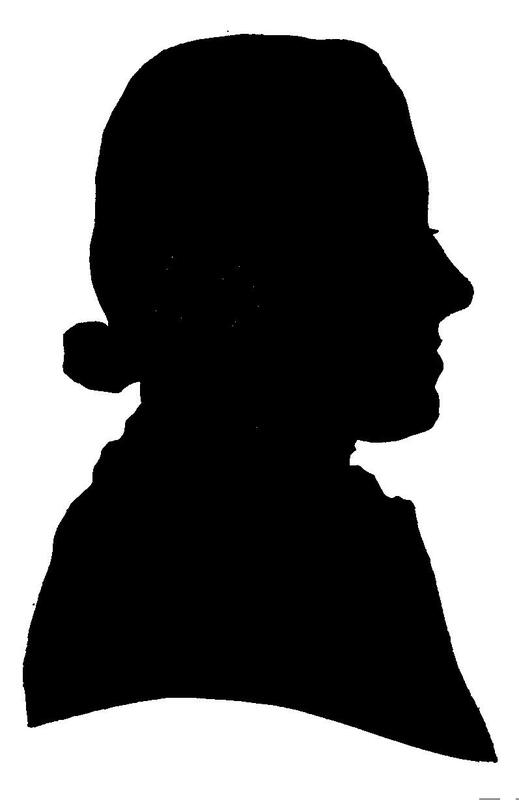 Shadow by George Cumberland of his mother Elizabeth (Balchen) Cumberland. Notes for RICHARD DENNISON CUMBERLAND from The Gentleman’s Magazine and Historical Chronicle (January to June 1825) Vol. XCV. p. 378, April. Rev. R. D. Cumberland, LL.B. Jan, 31. At Driffield, near Cirencester, after long and severe sufferings from the stone, aged 72, the Rev. Richard Denison Cumberland. He was of Magdalen College, Cambridge; was presented to the Vicarage of Driffeld, with the annexed Chapelry of Harnhill, by T. Smith, esq. in 1776, and took his degree of LL.B. in 1780. During his long ministry he scarcely ever quitted the care of his churches, contributing always willingly to the comforts of the labouring poor, and fulfilling the necessary duties of a good Magistrate and Rural Dean. Liberal to others on all occasions, and temperate in the use of the goods of fortune himself, he died without having created an enemy by his own fault. His descent was from Denison Cumberland, Archdeacon of Northampton, whose son was the celebrated Richard Cumberland, Bishop of Peterborough, the author of Sanchoniathe’s Phoenician History, the Law of Nature, and a Treatise on Hebrew Weights and Measures, &c. He was also grandson to John Cumberland, whose noble invention of Bending ship timber by means of steam in cases of sand, has been the means of saving millions to this country, and in which he expended a large fortune, without receiving any adequate reward. His descent on the maternal side was equally honourable, being in a direct line from the renowned Admiral Balchen, who was lost in the ship Victory, and to whose memory Government erected a monument in Westminster Abbey. He was left a widow [Susanna], and one only daughter, married to the Rev. J.P. Jones, A.M. of Brecon. Unfortunately the claim (above) of a direct line of descent for the Cumberland brothers from Admiral Sir John Balchen is not correct. At best there was perhaps a distant ‘kinship’ relation but nothing near to direct. To read the reasons for this click here. Leonard Stanley Manor estate was sold between 1736 and 1738 when it was divided among more than twenty purchasers but the manor and a large part of the land were bought in 1738 by Robert Sandford of the Priory. Robert Sandford died in 1769, and was succeeded by his son, also Robert (d. 1804), who devised the manor to Robert Timbrell (d. 1811). It passed to Robert Timbrell’s sisters, Rebecca Holland (d. 1815) and Amy Timbrell (d. 1818). Land-tax for the estate was paid until his death c. 1825 by the Revd. 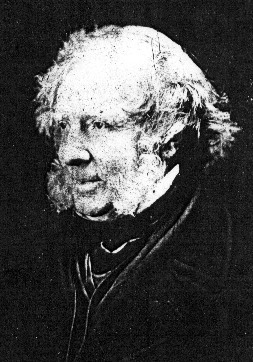 Richard Denison Cumberland, the husband of a third sister Susannah, and until 1832 by his widow, but in 1830 the estate was said to be held by trustees under the will of Amy Timbrell and Rebecca Holland, who were the owners at inclosure in 1834. 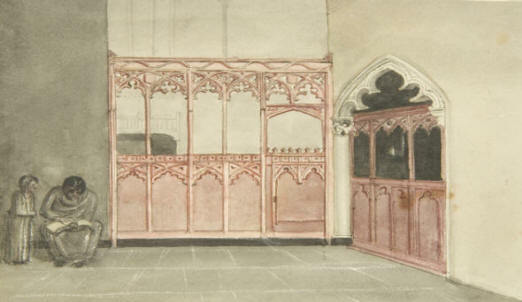 In 1856 it was owned by the Revd. John Price Jones who had married Susannah Willet Cumberland, the daughter of Richard and Susannah. Jones was dead by 1863 and his widow held the estate until her death c. 1875. The manor passed to her son Richard Denison Jones (d. 1903), whose son Richard Denison Cumberland Jones (d. 1916) was succeeded by his sisters Katherine Anna (d. 1940) and Lucy Elizabeth who c. 1959 sold Priory Farm with 310 a. to F. E. Pullin, the farmer since 1932. From: ‘Leonard Stanley: Manor and other estates’, A History of the County of Gloucester (Volume 10) Westbury and Whitstone Hundreds (1972), pp. 259-61. As far as we can tell there are no living descendants of Richard Dennison Cumberland. His grandson Richard Dennison Jones has been found on the 1861 census, on the 1871 census and on the 1881 census. Below the death notice of George’s common law wife Elizabeth. 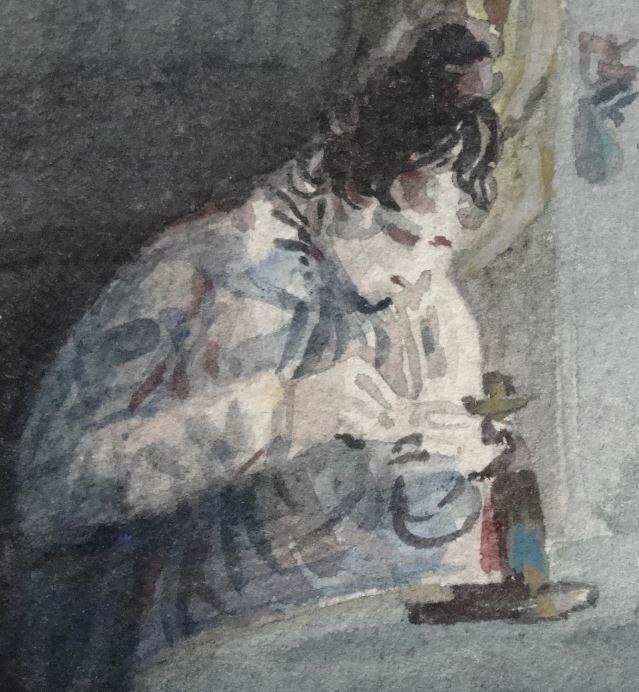 To view five watercolours by George Cumberland (five pages in pdf) please click here. (<— a large file of 21.35MB). List of works by and about George Cumberland (II). Bromley-Hill: The seat of the Right Hon. Charles Long, M.P. 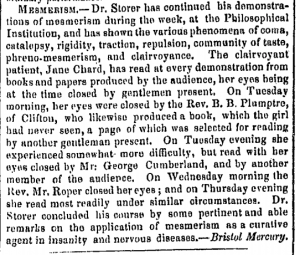 A sketch by George Cumberland (1811) (<— PDF) See also the DNB entry for Charles Long here. 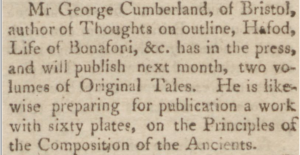 From 1800-1825 George regularly sent the editor of the Monthly Magazine letters. These have been collected and can be read as follows: from 1800 to 1809; from 1811 to 1815; and from 1816 to 1825. An article about Cumberland’s description and drawing of the Woodcock’s bill. Views in Spain and Portugal Views taken during the campaigns of his grace the Duke of Wellington, London, 1823 (PDF) by George Cumberland (III). It has long been a puzzle as to how and when George Cumberland (I) , the husband of Elizabeth Balchen and thus Mary (Balchen) Man’s brother-in-law, died. We now have evidence from the newspapers of the time and other sources that suggest that George committed suicide. George Cumberland (I)’s death was first reported on Saturday November 16 1771 and is listed among a number of other persons as having died on the same day namely Sunday November 10. It is probably safe to assume that that date is the date of George’s death. We also learn from the death notice that George was the Chief Examiner of the South Sea House which may go some way to account for Henry Man’s position as Deputy Secretary to the same House. Below George (I)’s signature as a witness to a lease drawn up between John Man (Henry’s father) and Susannah Crop. Some time later, on 21 November, it is reported in the newspapers that: ‘Mr. George Cumberland, late of the South-Sea House, was a Gentleman greatly respected for his honesty and integrity; the cause of his melancholy exit is attributed to his having dabbled too freely in the Alley on speculation.’ We can assume that ‘melancholy exit’ refers to George’s suicide which was motivated by losses on the stock market. The Alley refers to “[Ex]change Alley” which was a narrow alleyway connecting shops and coffeehouses bounded by Lombard Street, Cornhill and Birchin Lane. 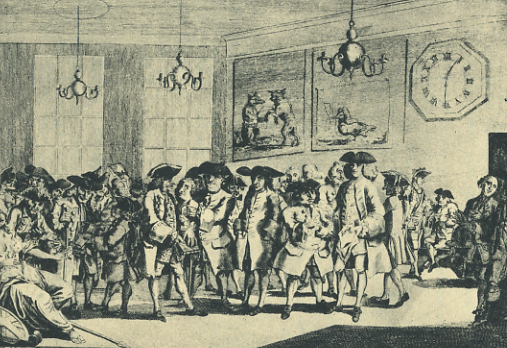 These coffee houses such as Jonathon’s pictured below were venues for trading stocks and commodities and were the progenitor of the London Stock Exchange. Above George’s death notice which mentions that he used to live near the Swan Brewhouse at Stepney before moving to Mile End Old Town. George’s burial was registered at St Dunstan’s in Stepney on 21 November 1771. The letters M.E.O.T stand for Mile End Old Town. The last Will and Testament of me George Cumberland, Snr. In consequence of the Love and Esteem I bear to my dear Wife Elizabeth Cumberland, I leave her all my Estate and Effects to her for and during her life and afterwards to my two Sons – Richard Denison Cumberland and George Cumberland to be equally divided or to the Survivor and I nominate my said Wife Eliz. Cumberland and my dear Friend Mr. William Tapp my Executors. Dated 21 March 1768. [signed] G. Cumberland. Which day appeared personally Henry Balchen of the Parish of Saint Mary White Chapel in the County of Middlesex, Gentleman, and John Balchen of the Parish of Allhallows, Bread Street, London, Linnen Draper, and being Sworn on the holy Evangelists to depose the truth severally, made Oath as follows that they these Deponents knew and were well acquainted with George Cumberland, late of the Parish of St Dunstan, Stepney in the County of Middlesex, deceased, for several years before and to the time of his Death and thereby became well acquainted with his manner and Character of handwriting and Inscription having often seen him write and Inscribe his Name and having now carefully viewed and perused the paper Writing hereunto annexed purporting to be and contain the last Will and Testament of the said deceased beginning “The last Will and Testament of me George Cumberland and ending “and my dear Friend Mr. Wiolliam Tapp my Executors – dated 21st March 1768 and Inscribed G. Cumberland, they these Deponents do severally depose that they verily and in their Consciences believe the whole Series and Contents of the said proper Writing, Beginning, Ending and Inscribed as aforesaid to be all of the proper hand Writing and Inscription of the said Deceased. (signed) H. Balchen, John Balchen [The] same day the said Henry Balchen and John Balchen were only Sworn to the truth of this affidavit before me. Geo. Harris, Suurog: Tho. Adderly, ??. We should also note that Richard Balchen, father of Mary Man and Elizabeth Cumberland and an apothecary, seems to have suffered from bankruptcy as well although he appears to have managed to clear his name. There is only one month between the declaration (left) and the clearance (right). Given the above it is interesting that the two Balchen sisters Mary and Elizabeth had a father who was a bankrupt and each married men who also became bankrupts but with three very different outcomes: the father recovers, one husband kills himself, and the other flees. George Cumberland (II) had several children by Elizabeth Cooper. When they met Elizabeth was married to George’s landlord Mr.Cooper and although she was forever married to Mr Cooper, George and Elizabeth cohabited as husband and wife their entire lives together. Their first four children’s baptisms (Lavinia, George, Aurora, and Sydney), all at St Gregory by St Paul, are shown below. Another child Eliza Martha was born in Bishopsgate in Surrey and was the youngest. The baptisms of both Lavinia and George (III) include the fact that they were born at Rome (5 November 1788 and 11 January 1790) and baptised together on 24 February 1792. Below the baptismal record for Sydney, born on 1 October 1795 and baptised on 25 December 1795. Recently uncovered is the fact that George Cumberland (II) committed his daughter, Lavinia, to the care of insane asylums. Records at the National Archives indicate several sojourns in different asylums with the most extensive records indicating Lavinia’s confinement to ‘Cottingham Retreat’ in East Yorkshire where she was committed on 4 August 1830 at the age of 36. Her status is given as ‘widow’ and she had been previously confined at two other asylums: ‘Summergangs’ and ‘The Refuge’. The person who committed her to Cottingham was her father ‘George Cumberland of Bristol’. 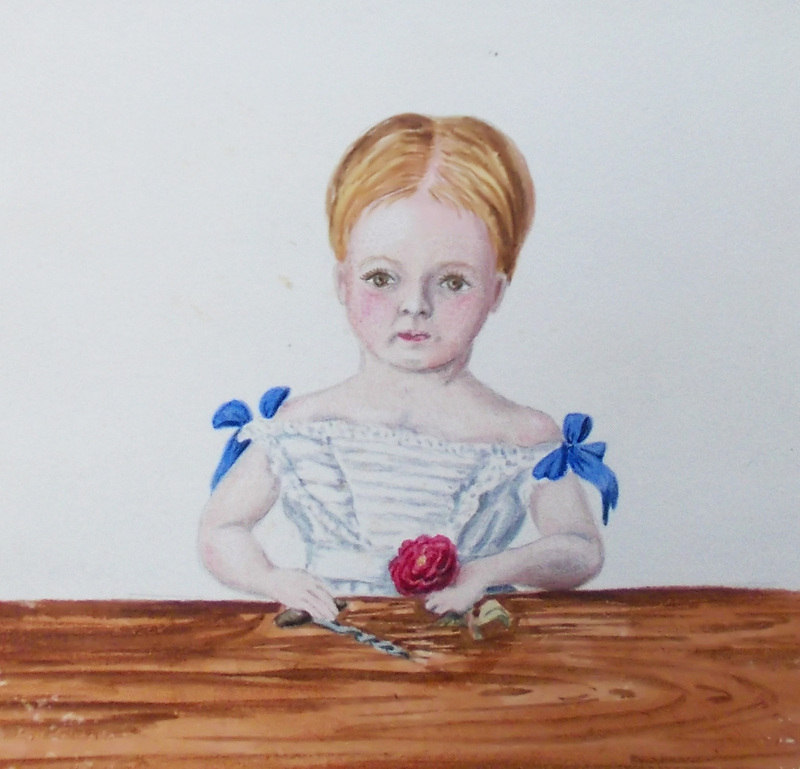 She was admitted four days after her commitment and discharged two years later on 8 May 1832. We know that Lavinia had married a Major Thomas Green on 27 June 1814 at St Augustine the Less, Bristol. CENSUS DATA: George Cumberland (III) and his younger sister Eliza Martha can be found together at No. 2 Milsom Buildings in Westbury on Trym, Bristol on the 1851, 1861, and 1871 censuses. On the 1851 census all the occupants are unmarried. George (III) heads the household at age 50. His 42 year old sister Elizabeth Martha (noted as E. M.) is listed next, followed by their two step sisters Elizabeth (69 years) and Georgana Cooper (66 years) being the daughters of Elizabeth Cumberland by her marriage to Mr. Cooper. There is one servant. A similar pattern holds for the next census (1861) except everyone is ten years older and an extra servant has been added. On the 1871 census the Cooper sisters are not shown and probably are deceased. Below George (III)’s probate record showing his death date, place of death, and worth, etc. Below the marriage record of George (II)’s son Sydney to Frances Fasson (at the time a minor) on 30 July 1818 at St. Mary at Lambeth. A daughter, Emily Elizabeth, was born on 4 September 1820 and baptised on 27 September 1820 at St. Mary at Battersea. This son appears not to have survived and another son was baptised George on 5 January 1827 also at St Luke’s Chelsea. A daughter, Georgina Katharine, was baptised on 16 November 1831 at Holy Trinity, Brompton. Sydney and wife Frances appear on the 1851 and the 1861 censuses living at Springfield Cottage, Stoke near Guildford in Surrey. Eliza was the youngest child of George (II) and Elizabeth Cooper. She has been found above on the 1851, 1861 and 1871 censuses with her brother George (III) but he died in 1878 and on the 1881 census Eliza is a boarder in a household headed by a Mary Hobbs. Her probate record (below) indicates that she died on 2 January 1885 at 12 Aberdeen-Terrace, Clifton near Bristol and which is where she is shown living on the 1881 census. Thomas Greenaway who proved her estate was the husband of Sydney’s daughter Emily Elizabeth Cumberland. The only child of Sydney and Frances (Fasson) Cumberland to survive to adulthood and marry was Emily Elizabeth Cumberland who married Thomas Greenaway on 20 April 1844 at Holy Trinity, Brompton. They had eight children: Frances Laura, Sydney George Cumberland, Thomas, Julia, Constance, Emily, Water Cole, and Ada. Emily Elizabeth (Cumberland) Greenaway died on 2 March 1892 at Guildford in Surrey. 1881 Census at Stoke near Guildford in Surrey. On the following page of the census there are four servants a nurse,a cook, a parlor maid and house maid.